We conduct education, outreach and stewardship activities to preserve the rugged, scenic and biologically diverse 88,000 acre Scotchman Peaks Roadless Area. We believe the Scotchman Peaks deserve congressional designation as Wilderness for the benefit and enjoyment of current and future generations. Our board and staff and key volunteers are concerned residents of North Idaho, Western Montana, and Eastern Washington committed to the protecting and preserving the Wilderness character of the Scotchman Peaks. We want to make sure that this special place stays the same, not only for us but for the benefit of future generations. Below the biographies of our Board of Directors, additional staff, and key volunteers, you’ll find our Non-Discrimination Policy. Doug graduated from Brown University in 1972, and moved to Montana soon after. He is a home designer, happily married with two sons, who also love to hike and camp. He served as President of the Montana Wilderness Association’s governing council in 2011 and 2012. 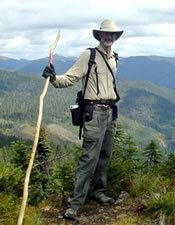 Doug has been working to protect roadless areas on the Kootenai National Forest for over 40 years. Brad was born and raised in Libby, montana. He graduated from the university of Montana and worked as an exploration geologist primarilly on Montana’s Stillwater Complex. Brad is curently a CPA in Sandpoint and is the owner of Williams & Parsons CPAs. Brad has extensive Board experience with various entites including the Panhandle Alliance for Education, Greater Sandpoint Chamber of Commerce, the Idaho Board of Accountancey and the Sandpoint Soccer Association. He and his wife Nancy reside in Sagle and spend their free time bicyling, cross country and back country skiing. Carol has a BS and MS in nursing, and is retired from a 24 year career including nursing education and administration. Carol is a volunteer Red Cross instructor certified to teach Wilderness First Aid to our volunteers. She is past President of the Kinnikinnick Chapter of the Idaho Native Plant Society and is past chair of its conservation committee. 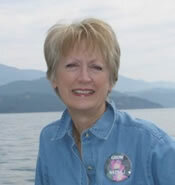 In September 2009 Tri-State Water Quality Council selected Carol for the “Watershed Warrior” award for her work on behalf of water resources in northern Idaho. 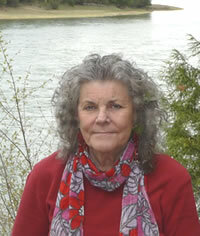 In March 2010 the Idaho Business Review named Carol as one of it’s “Businesswomen of the Year”. Neil was born in Alabama in 1947. He graduated from medical school in 1973, and practiced pulmonary medicine for 25 years on the Gulf Coast in Mobile, Alabama. 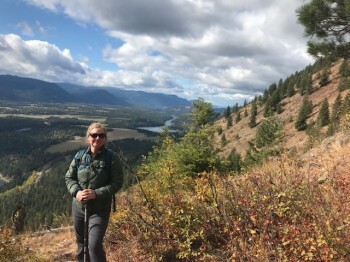 In addition to FSPW, he enjoys hiking and has previously served on the Conservation Committee of the Kinnikinnick Chapter of the Idaho Native Plant Society, as well as the board of the Sandpoint Chapter of the Ice Age Institute, and the Advisory Board of Bonner General Hospital. all designed to protect the water quality in Lake Pend Oreille. Living in both Libby and Troy Montana while enjoying the beauty of both the Lolo and Kootenai National Forests, Mollie has been a long time supporter of Wilderness. She has been and continues to be a Montana business woman as a Real Estate Broker doing transactions throughout all of Montana. She is a former member of the Montana Wilderness Association’s State Council, previously served on the board for the Thompson Chain of Lakes Association, is currently a member of both the Troy and Libby Chambers of Commerce, the Lincoln County Tourism Bureau, the Montana Association of Realtors as well as the Northwest Montana Association of Realtors and the Lincoln County Board of Realtors. In 2012, the Montana Wilderness Association presented Mollie with their Brass Lantern award for commitment to working for Wilderness and responsible management of our public lands. Jen moved to western Montana 20 years ago after a summer working in Yellowstone National Park. Her professional role is focused on community and non-profit work, while her free-time is spent enjoying wild places with her family. She resides in Thompson Falls where she is currently the director of Sanders County Community Development Corporation. She is an avid hiker, backpacker and cross-country skier. With all of the demands of daily life, it is comforting to know that balance is always found at the top of the mountain. Phil graduated from Colby College in 1981 with a BA in English Literature. 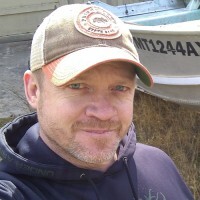 After 20+ years in Hotel/Hospitality management, organizing and directing staff, assisting with sales and marketing and coordinating events and conventions, Phil moved to Sagle, Idaho in 2002. 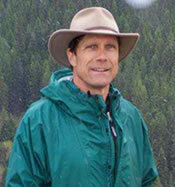 Phil is a founding board member of the Idaho Trails Association ans now serves on their advisory board. He is a past president of the American Long Distance Hikers West Assoc (ALDHA-WEST) and a past president of the Kinnikinnick Chapter of the Idaho Native Plant Society. He is a former chair of the Bonner County Aquatic Invasive Species Task Force. Phil is a member of the Idaho Panhandle Forest Collaborative and a member of the North Idaho Resources Advisory Council (RAC). 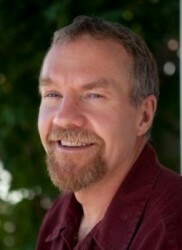 He is a “Chamber Ambassador” for the Greater Sandpoint Chamber of Commerce. On Tuesday mornings. 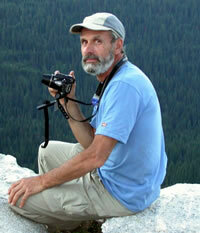 Phil cohosts a radio talk show on conservation and outdoor recreation on Sandpoint’s community radio station, KRFY. 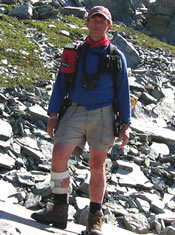 In May 2007 Phil was awarded the Idaho Conservation League’s highest award for environmental activism for his work to save the incredibly wild Scotchman Peaks. In May 2009 he received the Brass Lantern Award from the Montana Wilderness Association. Along with his wife Deb, Phil has explored wilderness areas across our continent. Together they have hiked the “triple crown”: the Appalachian Trail, Continental Divide Trail and the Pacific Crest trail (twice). He has also paddled the length of the Yukon river. 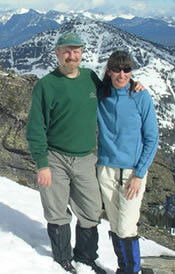 Phil is shown here with his better half and hiking partner, Deb Hunsicker. Britta Mireley grew up in the Black Hills of South Dakota and Wyoming. She graduated from the University of Wyoming in 2008 with a B.S. in Marketing and in 2013 from The George Washington University with her Masters in Tourism Administration with a concentration in Sustainable Destination Management. Britta has worked in tourism at the state level, historic downtown revitalization, and community development. Britta currently lives in Sagle with her husband and daughter. She’s using her background in marketing and tourism to save the wild Scotchmans so her daughter and someday, her daughter’s children, can discover nature in its purest form. Britta also serves on the Bonner Community Housing Agency board and still enjoys nerding out over historic downtowns. Mitchell “Sandy” Compton’s maternal grandparents settled in Montana’s Clark Fork valley near the Idaho border and just southeast Scotchman Peak in 1917. He resides on a part of their old farm still. He is a writer, editor and print designer who has published eight books and hundreds of essays, columns, magazine articles and photos, most having to do with exploring, travel, adventure and the out-of-doors. 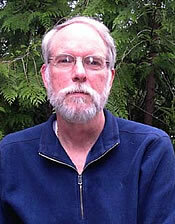 He has helped the Friends of Scotchman peaks produce collateral materials including booklets, tabloids and maps. As owner of Blue Creek Press, he assists others in moving from conception to reality with writing, editing, design and printing expertise.Sandy attended elementary school in Heron and graduated from Sandpoint High School in 1969. The Blue Creek Press office is in the room in which he learned to read in the old Heron Elementary School. In 2016, Montana Wilderness Association honored Sandy for his work to preserve Wilderness, both on the job and as a volunteer, with their Brass Lantern Award. Sandy has been hiking in the Scotchman Peaks since he was old enough to walk without parental assistance into the upper East Fork of Blue Creek. Ray Brown moved with his family to Thompson Falls in 1992. He spent his high school years living near the top of Eddy Peak in the Cherry Creek drainage, off the grid and close to nature. Ray has always admired the outdoors and found his position advertised when he began looking for an opportunity to become involved with an organization that is community oriented and active in preserving the beauty surrounding us. Ray is also employed with Western Montana Mental Health Center as their Behavioral Intervention Special at Thompson Falls High School. His volunteer work includes 25 years with Hugh O’Brien Youth Leadership, coaching his son’s soccer team, and recently he became an active member of the Clark Fork Valley Elks Lodge. Jim was born in Washington DC in 1948 and raised in Northern Virginia. After attending college for four years (business admin/economics) and four years in the Air Force (electronics), he moved to Sandpoint in 1975. Recently retired, Jim worked for Encoder Products Co since 1978 as an electronics technician, applications engineer, quality assurance manager and manufacturing engineer. He and his wife Sandii spend as much time as possible hiking, backpacking, skiing, snowshoeing, snowboarding and snapping pictures in the mountains. Trisha has been deeply involved in technology for the past 25 years, primarily in the Telecommunications and Travel industries. She discovered Web Development and Graphic Design in early 2003 and now works primarily as a Webmaster for over 40 different websites. 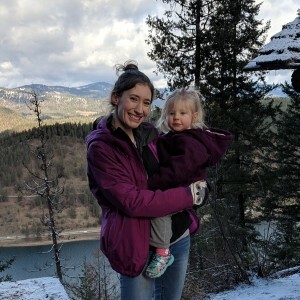 In her spare time she blogs on travel and technology issues.Trisha volunteers her time to maintain the website for the Friends of Scotchman Peaks Wilderness. The Friends of Scotchman Peaks Wilderness believes that equal opportunity is important for the continuing success of our organization and that organizational performance is greatly enhanced when people with different backgrounds and perspectives are engaged in the Friends of Scotchman Peaks Wilderness activities and decision-making. The Friends of Scotchman Peaks Wilderness intends to comply fully with all state, federal, county and municipal laws as interpreted and applied by the courts which preclude negative discrimination because of race, disability, color, creed, religion, gender, age, sexual orientation, national origin, ancestry, citizenship, military status, or any other protected classification. The Friends of Scotchman Peaks Wilderness defines "negative discrimination" to include, though not necessarily limited to, the denial of services, employment or volunteer opportunities to any class of individuals in a manner that negatively restricts opportunities to that class of individuals. This policy applies to all activities of the Friends of Scotchman Peaks Wilderness including, but not limited to, employment, selection of volunteers, grant making, purchasing and selection of vendors or consultants.